Jenkins plugin for automated documentation uploading to Confluence. Doktor supports Markdown and AsciiDoc. Markdown support is provided by awesome flexmark-java library. AsciiDoc is supported thanks to AsciidoctorJ. Please note that AsciiDoc support is very experimental. Front matter is another word for metadata, used by bloggers and hipsters widely. Doktor uses front matter to configure the way pages appear in Confluence. titleRequired. Page title, unsurprisingly.parentOptional. Parent page title, if any. If omitted, "orphaned" page will be created. If parent page is not found by title, child page will not be created at all.labelsOptional. List of labels to add to a page. Though Markdown does not have any support for tables, Doktor supports GitHub Flavored Markdown tables. You can also create tables by inlining XHTML markup directly in your docs. AsciiDoc (thus Asciidoctor and AsciidoctorJ) supports tables natively. Doktor supports images. When an image is referred by relative URL it will be uploaded to a Confluence server as an attachment of a page, given unique name. When an image is referred by remote URL (Internet link) it will be referred by this URL from a Confluence server. As you see, AsciiDoc is more feature-rich. Read more about diagram syntax in in the official AsciiDoc guide. Be warned, that most types of diagrams require external tools (like seqdiag or dot) to be installed and available on the PATH. actdiag / blockdiag / nwdiag / packetdiag / rackdiag / seqdiag. 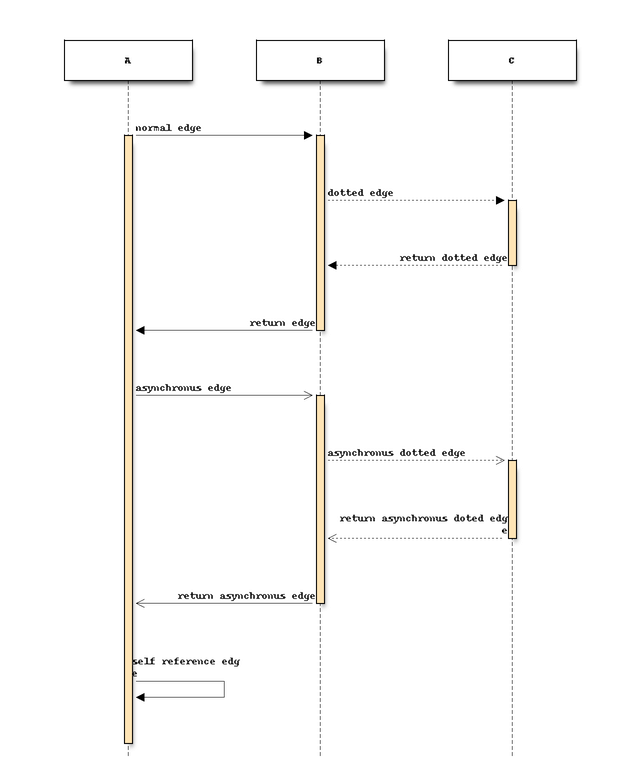 These diagrams require blockdiag and related Python packages to be available on the PATH. ditaa. No additional tools needed. graphviz. Obviously, requires Graphviz tool to be on the PATH. mermaid Requires mermaid (version prior to 7.x) and PhantomJS to be on the PATH. plantuml No additional tools needed. As you might suspect, Confluence REST API requires authentication. Doktor supports basic authentication (username and password). So, first thing to do is to configure credentials in Jenkins. You may have as many Confluence servers and credentials for them as you need. Now, when you have some Confluence servers to publish documentation to, it’s time test this plugin! Yes, I’m using word "test" intentionally here. List of Java 8 PathMatcher specifications for Markdown files to include. List of Java 8 PathMatcher specifications for Markdown files to exclude. List of Java 8 PathMatcher specifications for AsciiDoc files to include. List of Java 8 PathMatcher specifications for AsciiDoc files to exclude. You can also try your luck with "Snippet Generator", available at /pipeline-syntax path of your Jenkins installation. Doktor plays nice with "classic" builds too! Click those question icons on the right if you need any help. This may sound shocking to you, but let me explain. Doktor’s idea is just uploading your documentation somewhere, making it available to read by everybody. Doktor is not about collaborative editing - use VCS for that. It’s a unidirectional flow - from sources to rendered documents - by design. I was inspired by GitHub’s pages and wikis, and I sincerely believe in this approach. At the moment, Doktor supports only Confluence and may never support any other services (unless my employer switches to another vendor). Doktor is built with Kotlin, Gradle and Love. Well, actually with hate to the workflows on my day-time job. JPI artifact is produced with Gradle’s JPI plugin. Read its documentation to know more about supported features and options. Also, take a look at this awesome Jenkins plugin, which is build with Gradle and Kotlin too! Basically, ./gradlew --rerun-tasks clean jpi server will spin up a Jenkins with Doktor installed. --rerun-tasks is used to force clean build every time because Gradle aggressively caches build outputs, especially Kotlin annotation processing tool results. Feel free to tweak CLI arguments, assuming you know what you do. Omit server task if you just need a JPI file. Once you may want to test how Doktor behaves on agents. The simplest way to do that is to run an agent in Docker. There are two images for agents available. When you’re running Jenkins via Gradle JPI plugin it will be run under you user account, so either your user needs to be able to execute sudo docker without password or you will need to type that password in Gradle’s terminal session. jenkinsci/ssh-slave is another (better) option. It allows you manage agent container separately and then attach it to Jenkins, thus eliminating the need to provide any password or execute sudo docker. Container’s mounts and FS modifications will be preserved between Jenkins restarts. First, you need to have an SSH key pair that will be used to connect to the agent. Looks like only RSA keys are supported (public key must start with ssh- prefix). Either create a new one, or use the existing. Then, install SSH Slaves plugin on the master. You can paste private key directly here or use one of the defaults (~/.ssh/id_ecdsa, ~/.ssh/id_rsa, ~/.ssh/id_dsa, ~/.ssh/identity). Next, start agent container by executing docker run --detach --name jenkins-slave jenkinsci/ssh-slave "$(cat ~/.ssh/jenkins.pub)" (assuming that ~/.ssh/jenkins.pub is a public key corresponding to the private key from previous step). 172.17.0.2 here is the IP of a Docker contaner from the previous step, found in docker inspect output. You could also run the container exposing the ports (e.g. -p 2222:22) and then use localhost as host and 2222 as port. You’ll need to refer to Confluence REST API. Here is the link. Samples are also available. Probably, the easiest (and CPU / RAM saving) way to run Confluence is to run it in the cloud (AWS EC2, DigitalOcean, …). Though, it will cost you some money. There is an Ansible script in this repo to automate Confluence installation. It assumes that you already have a running instance that meets Confluence’s minimal system requirements. Read your cloud provider’s documentation to know how to create and manageVMs. Or you can just use dynamic inventories. Install required roles from Ansible Galaxy: sudo ansible-galaxy install -r requirements.yml --force. After the inventory is configured, just run ./confluence.yml from the .ansible directory. Go to http://your.confluence.host/ (if the DNS and IPs are set) and configure the instance. Note, that you will need a license key (trial works for 90 days). You can run Confluence locally as well. The easiest way here is Docker (Windows uses should appreciate the joke). You might want to add some additional options or tweak the existing ones. Note, that you will need a license key (trial works for 90 days).